By now, we've carved and scooped out our pumpkin! We've talked about how the seeds and goop are like our sin. We put a candle in our jack o' lantern and talked all about God's light shining in us! I will forever love this pumpkin metaphor! We have our costumes ready (and even right now, one of ours has a new costume he doesn't even know about yet--sure to thrill him--because as he walked out the door he just wasn't sure what he was going to dress as and didn't make a fuss) and our 4 year old couldn't be more excited to be Batman and tell everyone Trick or Treat! He's been talking about this day for a good month! Yes, October 31st is here! You know what else that means? It means, it's time to put some flannel sheets on our beds! Earlier this week, we were playing outside in 80+ degree weather, record warm temps, but tonight we have a freeze warning out as it's supposed to be in the lower 30's! I love it!!!!! Bring on the flannel sheets and the fire in the fireplace, a couple of blankets and some warm tea. I am in heaven! Oh, October, you bring such inner warmth and happiness! But before, we move on to November, one other thing marks the end of October. Today is the end of my #write31days series! Is that the end of blogging? Of course not! This light will shine on! I've been doing this for years now! That was actually part of the reason I decided to jump aboard the Write 31 Days series--I've been blogging for years. I was just feeling a smidge stuck and I was in a writing rut. I thought writing for 31 days would be a way to awaken my writing. I'll tell ya, it was challenging for sure. I think by Day 3, I was ready to quit. 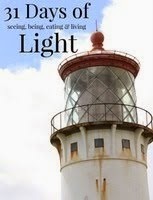 How could I write for 31 days about light? But Hubby spurred me on. He usually does. Anyway, I was really inspired by writing for the series and I'm so glad I did it! I did miss 5 days, I think. Some of that was due to travel and some was just due to life. I knew it wasn't the end of the world if I missed a day, but I tried hard not to skip. I also followed some other bloggers who did the same and enjoyed several series. If you write and have ever even thought about joining the #write31days series, I think you should try it next year! If you missed any days in my series on light, just click here to find the links to each day! 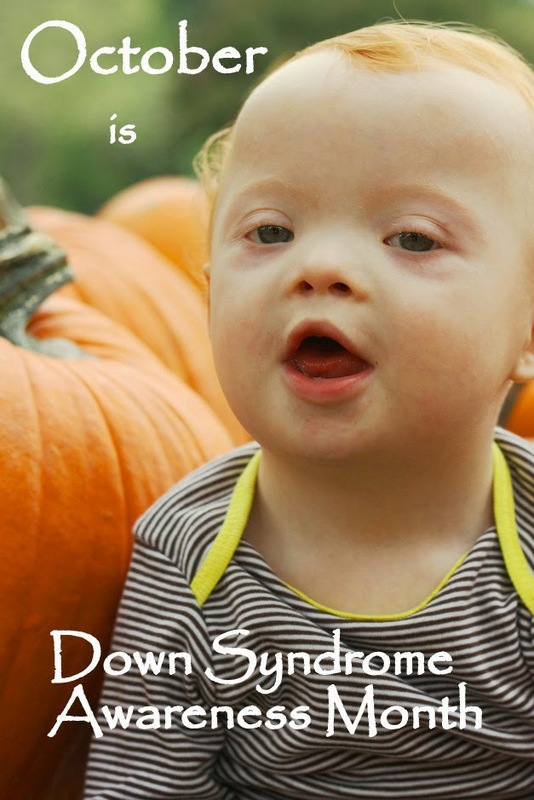 Check out Day 3, FYI Friday spotlight on Down syndrome, Day 10, Lighten (and Brighten) it up, Day 14, A light shining halfway around the world and Day 16, We are lightweights, they were some of my favorites! Thanks for reading through 31 Days of Light! I'm still writing, so stick around for a while and join me! Love the pumpkin metaphor. Just arrived in Waco! Sic 'Em Bears! I loved your 31 day series! So happy you are encouraged to keep on writing!